Hey guys, back in March we did a video update on FaceBook. For those of you who are not on social media, click on the link below to be able to view it. I love new beginnings. Fresh starts. I love starting a new book. I love mornings and the smell of a fresh, new pot of coffee. I love sunrises. I love opening my journal to a new, blank page as I begin to read my Bible. Most of all, I love my Lord and Savior and I am incredibly thankful and humbled that His grace and mercy are new everyday. It’s hard to believe that we have started our fourth year of homeschooling this year. 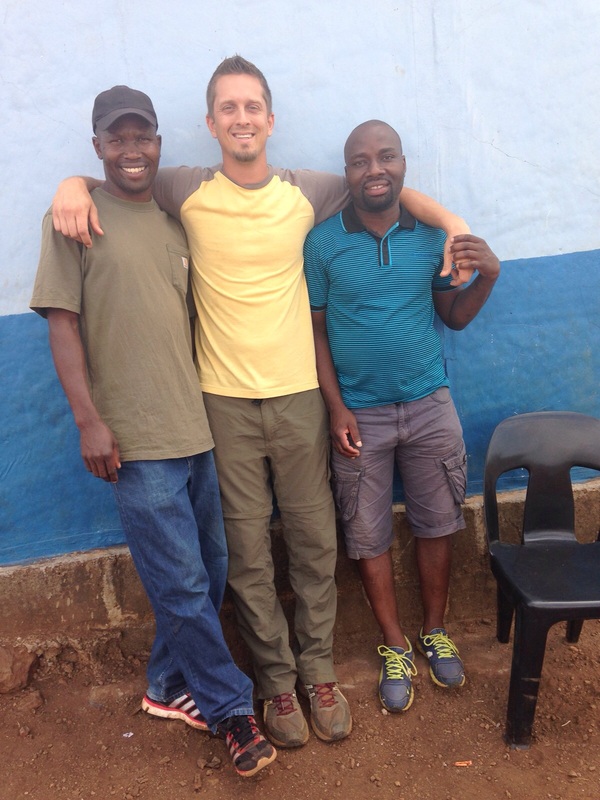 One of the biggest questions we get asked, since moving to Swaziland, is: “What does a typical day look like for you?” Well, one thing you learn very quickly while living on the mission field is, no two days are exactly the same. You learn to be flexible. With that being said…the season of life that we are in right now…homeschooling is a huge part of my day. My ministry. Now, whether that school is being done in our house, outside in the hammocks, in the car on the road, or at a care point is a different story. I didn’t homeschool while we lived in the States. Hannah loved going to school and Luke couldn’t wait to join his sister. So when God confirmed our call to move to Swaziland, He was simultaneously calling me to homeschool. 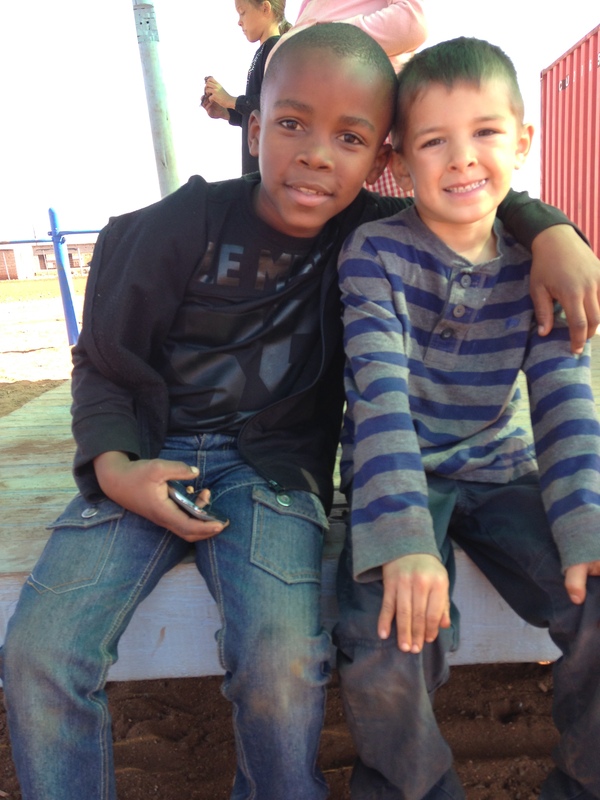 Hannah was in 3rd grade and Luke was in Kindergarten when we moved to Swaziland. I’m not going to lie, even the thought of homeschooling was extremely overwhelming to me. I felt unprepared. Lacking. I wasn’t organized enough. Wasn’t creative enough. I wasn’t a planner. It was so far out of my comfort zone, I didn’t even know where to begin. There was so much unknown. I was scared I would fail. So I began to pray. Everyday. I didn’t want to just accept homeschooling as something that I HAD to do but I wanted a passion for it. One…because my attitude would be reflected in our children. And two…the Lord had, without question, called me to do it. So fast forward to one big move over the ocean and my first year of homeschooling done. I was feeling pretty proud of myself. There had been hard days, sure, but now as we headed into school year number two. I was feeling pretty confident in myself. I got this! Well, let me tell you…I…didn’t have anything. You see, along the way somewhere, I had began to rely on my own strength, not His. As I grew more comfortable and confident in my role as, teacher, my once very obvious need for Him began to diminish. Now, I didn’t wake up one morning and consciously think, “I got this, God, I don’t need you anymore.” It’s very rarely that obvious. But over time, that’s what I said, with my actions and lack of intentional, specific prayers. So, no surprise, when God calls me to do something that I can truly only do in and through Him and I stupidly try and do it in my own strength, I will fail. Everytime. Now when I say, fail, in this specific case, I don’t mean our children would never learn anything. No. If the end goal was soley to teach them book knowledge then I could do it in my own strenghth. Now, the road to get there would be hard and ugly…lacking in patience and love, self-control, joy and grace. (To just name a few.) My purpose as a believer, is to make His name known and to bring Him honor and glory In.Everything.That.I.Do. To become more like Him. To love like Him. And that is where I fail, when I try to do something in my own strength. But Oh, His Grace! His Mercy! His Love! One of the biggest things that God continues to teach me through homeschooling is grace. Grace for my children, grace for myself and His grace covering us all. I’ve come to realize that as uncomfortable as it may be, to be walking on a path where you feel unprepared…lacking…called outside your comfort zone. Where the path not only looks harder but it is harder. There is truly no better place to be, because that is where you press into the Lord knowing that when you are weak than you are strong. His power is made perfect in weakness. So I go into this fourth year of homeschooling knowing we will have great and fun days and hard and challenging days. But not shying away from either because each new day brings a promise of a fresh start. Where His mercies are new and never come to an end. Where I am given another opportunity to bring Him honor and glory. Knowing it’s only possible, when I live my life In, Through, and Because of Christ. I love music! I love listening to it, I love reading the lyrics and hearing the stories that inspired the songs. I love to sing, (however little side note here…I can.not sing…like at all…so my apologies to those of you who have had to sit by me as I belt it out…but just know…it will continue.) it is one of my favorite ways to worship God. So it is no surprise to me, that many different circumstances will bring a song to my mind and God will use it to draw me deeper into Him. In this song, I think it’s a pretty safe assumption to say, “Yes, we’ve all been there”. In those waiting stages, whether big or small, moments or seasons of life where you are asking God to give you direction or open a door and He doesn’t seem to be saying “yes” or “no”. Or you have been praying desperately for something, for Him to move those mountains and He answers with a “No”, or “not yet”, or “wait on My timing”. Those are hard answers to swallow. When we pray, we want quick answers and not just any ‘ol answer but the answer we think is best. The answer that is easiest for us, that will cause us the least amount of pain but still bring Him honor and glory. What happens when we don’t get those quick, easy answers? Are we still diligent and consistent in our prayer life? I think the question that we need to ask ourselves is: What is the main motivator behind our prayers? We got to share a little bit of Hannah’s wrist injury with a few of you, when we were back on furlough. However, for those of you who don’t know, let me give you the short version of the last 20 months. Not long after we moved here, maybe nine or ten months in, Hannah fell and fractured her growth plate on her right wrist. Now, can I just say with having two full of life, full steam ahead boys, I didn’t think Hannah would be the first to break something or have to have surgery, but as we know life is full of surprises…well, surprises to us but not to Him. So back to the story….we went to a local private clinic and had it x-rayed and a cast put on. We come back, a couple of weeks later, to get another x-ray and hopefully the cast removed. Come to find out, it was never set properly and now she would have to have a more intensive surgery. So long story short, we find a great orthopaedic surgeon in SA, and two surgeries and 3 pins later… we were keeping a close eye on the growth of her wrist. Praying she wouldn’t be in the 3-5 percentile that can experience the growth plate “dying” or being “closed” after a surgery like this. Three months before we left on furlough, we found out that she was indeed in the 3-5 percentile and a part of her growth plate was “closed”…which basically means the Radius wasn’t growing at the same speed as the Ulna bone, and if left alone could cause a slew of problems and pain. After her first x-ray and cast. Here is the update: the distance between the two bones is getting longer. So she is going to have a third surgery, in April, to surgically lengthen the bone. We have prayed fervently and desperately for supernatural healing of Hannah’s wrist, knowing that nothing is impossible with Him. Yet, she is scheduled for a third surgery in less than 3 weeks. What does this mean? That God didn’t hear our prayers? That we should stop praying for supernatural healing? How can God love us if He allows us to go through pain? As a mom, there are many times that I have said “no” to a certain request or have set certain boundaries or rules for our kids. Often times, they want to know why, and sometimes I tell them why, but other times I say, “You’re just going to have to trust me”. Trust, that I love you and want what’s best for you. Trust me, even though you may not understand. That is what God is saying to us. Trust Me! Trust Me, even though you may not understand My reasons. Trust Me, even though this is not what you would have chosen. Trust Me, that nothing can separate you from My love. Trust Me, I want to make you more like Me. Trust Me, I want to use you to bring honor and glory to My name. Trust Me, that truly nothing is impossible with Me. Trust Me, no matter the outcome, I Am in it. The Creator of the Universe. The Great I AM. The Alpha and Omega. The Sovereign One. I will choose to trust Him because not only have I read about His attributes, His character, His supernatural power and never-ending love for us, in the Word of God and believe it to be true. I have also experienced who He is through the divorce of my parents, the death of my youngest brother, moving to the other side of the World and countless other ways. So we will continue to pray for supernatural healing, knowing that He is a God who hears our prayers and nothing is impossible with Him. However, more than anything, we pray that He continues to build our faith, to refine us and make us more like Him and no matter the outcome, we want to bring honor and glory to His great Name. We will choose to Trust. I am sitting here trying to think of how to express in words the emotions and feelings that have been felt during our time on furlough, and it’s hard to believe that it has now been 73 days since we were on Swazi soil. Time has flown by, and now we only have 18 more days until we arrive once again in the place we call home. Just like when we first moved to Swaziland, we really had no idea what to expect during our time in North America. You always kind of think you do, but you never truly do until you experience it. We have had an incredible time seeing family and friends, and although at times things have been a whirlwind, hectic and semi-organized chaos, it has truly been refreshing and energising to our spirits as we have spent dear time with people we love and cherish so much. One thing that Charity and I have continued to say throughout, is that we feel so loved and supported by so many through the extreme generosity of people who know us well, and those who don’t really know us at all. It has been an amazing testament to the body of Christ, and we sincerely thank each and every one of you. On the other side, we have truly missed those in Swaziland who are now such an important part of our family. It’s inevitable, whether we are on one side of the world or the other, we will now be missing those who are dear to us. I recently heard someone say that in many ways sending people to the distant mission field is in essence putting them in the offering plate and allowing God to use them as He will. What incredible imagery. This is something we must do in our own lives as well as we desire to be used by God where He has taken us. Moving us to Swaziland has pulled us away from being closer to family and friends in North America, but it has taken us to a place where our family has increased more than we ever thought possible. I truly believe that this is what Jesus was meaning when He said this in Mark Chapter 10 verses 29 through 31, “Truly I tell you,” Jesus replied, “no one who has left home or brothers or sisters or mother or father or children or fields for me and the gospel will fail to receive a hundred times as much in this present age: homes, brothers, sisters, mothers, children and fields—along with persecutions—and in the age to come eternal life. But many who are first will be last, and the last first.” When we left our home in Augusta, Georgia, our family grew as we made our home in Nsoko, Swaziland, meeting many and developing close relationships with those whom He brought into our life. We are truly thankful to The Lord for this. As we head back, we are anticipating great things. Why shouldn’t we? We serve a God who has limitless capabilities, and His steadfast love endures forever (Psalm 136). Through the thick and thin God will never let us down, and He will always be on our side. So we move into this next season of life with an unwavering confidence that this is true. 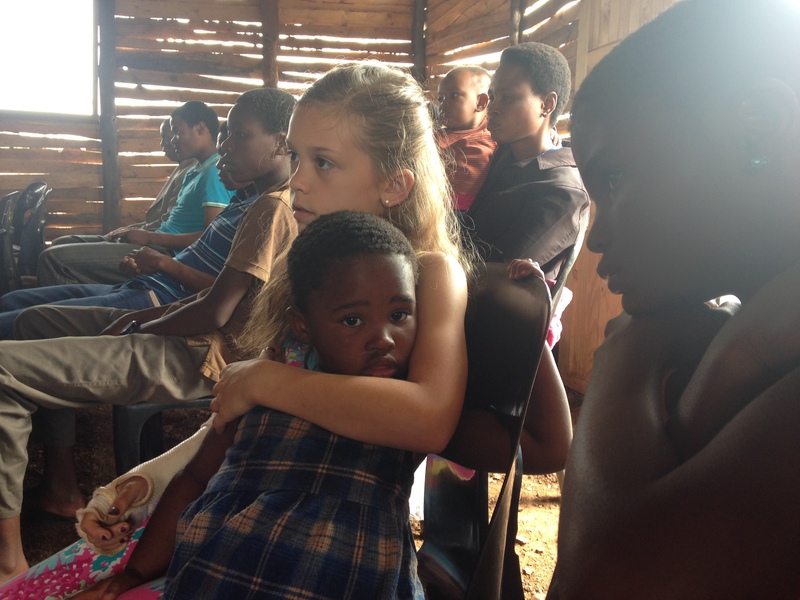 Please pray for us as we continue to be a part of His work in Swaziland. Can I just say, Wow! I cannot believe we are at the end of February in 2016! Time is flying by! 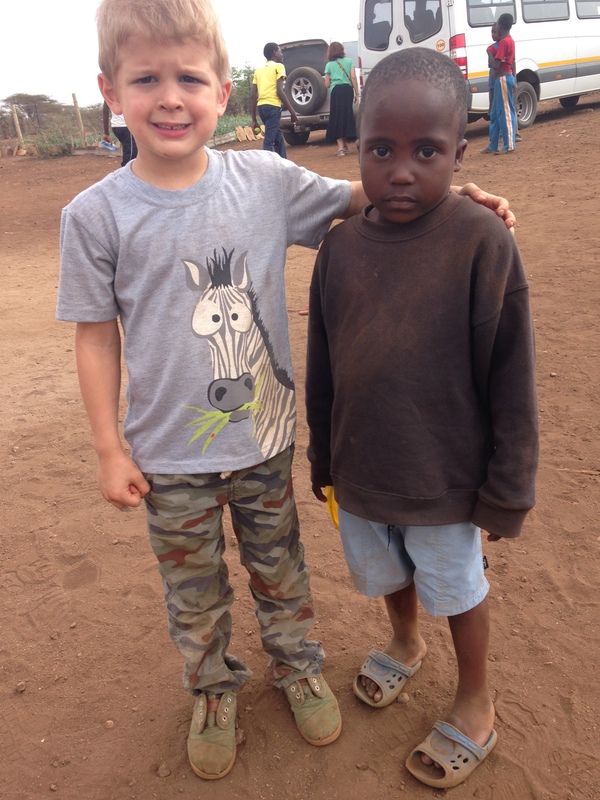 It’s hard to believe that we are nearing our 18 month mark of living in Swaziland. There’s just something about hearing your kids pray in the native language, that we are all desperate to learn, of the country that God has called us to serve Him in…that just makes my heart overflow with joy. It’s funny the things that we see or our kids say that are completely normal to us now. For example, our one gas station has no gas or we go to buy electricity and they are out. Our normal “traffic” consists of cows, goats, donkeys or even monkeys or my favorite…. the crazy amount of African wildlife we see just by driving down the road…. I don’t think that will ever be just “normal” to me. It is awesome! If we are going somewhere the kids will ask if we are crossing the border and if we need our passports. They’re constantly asking for raw sugar cane to eat…which since the drought has been few and far between. As many things that have become normal to us since living here for nearly 18 months, we, as a family, are now adjusting to a new normal. If you follow us on social media at all then you know a new face as been making an appearance in our pictures and you have “met” Busanda. (Out of respect for her families privacy I won’t go into detail about her history.) She came to stay with us in November, and has stolen our hearts. She is 5 years old. Her and Titus are only 2 months apart….yea this is as close as we’ve ever been to raising twins and we started at age 5…Lets just say I have real respect for parents of multiples out there. 🙂 It really has been an amazing transition where she truly does fit into our family and I see God’s hands all over it…but it has still been a transition nonetheless. I am now homeschooling 4 kids and did I mention when she moved in she knew NO English. Yes, we have some hilarious crazy stories for sure and also some sad ones. I will say nothing makes you learn siSwati faster then having someone live in your house that doesn’t speak English….although she seems to be picking up English quite easily. She’s one smart girl! We would love to make her a permanent part of our family. We don’t know what the future holds but we know God knows the desires He has put in our hearts and we are praying and trusting in a faithful Father. On a less permanent note…we are also watching a precious, sweet 13 month old, Biyelwe, also known as B. We are watching her so her mom can go back to school. Her mom is so very smart but lost all hope of finishing school when she got pregnant and had to drop out. We have had her since mid-January and watch her Sunday night through Friday afternoon. What’s crazy to me is how easily we can forget the previous stages of our kids…like the baby/toddler stage…maybe that’s because we were so sleep deprived and just in survival mode that whole time or the amount of poop and spit up we had to clean up we subconsciously blocked it from our memory…or maybe that’s just for us moms that had kids so close in age…haha…those of you who are beginning to wonder if I really enjoyed our kids baby stages, I did…no worries! 🙂 So we once again find ourselves buying diapers, getting bottles ready and remembering…but sometimes forgetting…a diaper bag on our way out the door. I love seeing the difference in cultures when it comes to raising babies….no one culture does it perfectly…there are pros and cons for sure. We love having B here, the kids absolutely adore her. So since we have been here our family has grown from 3 kids to 5 kids. (during the week that is) It now takes us a little longer to leave the house, I’m cooking bigger meals, school is sometimes interrupted by diaper changes and bottle feedings or little squabbles, sometimes when everyone decides to talk at once the noise level reaches a new high I didn’t even know existed, and I’ve been behind on my blogging but this right here…my home, my marriage, my kids….this is my biggest mission field. Someone once told us to always remember: your work, your ministry can always go on without you but your family cannot. What are your priorities? If you go through your life pouring yourself into your job or even your ministry but fail to pour into your marriage or to disciple your own children, I believe you have missed the mark…. By discipling our children we will raise up warriors for Christ and send them out as disciple makers…to their schools, their sports teams, and across oceans. 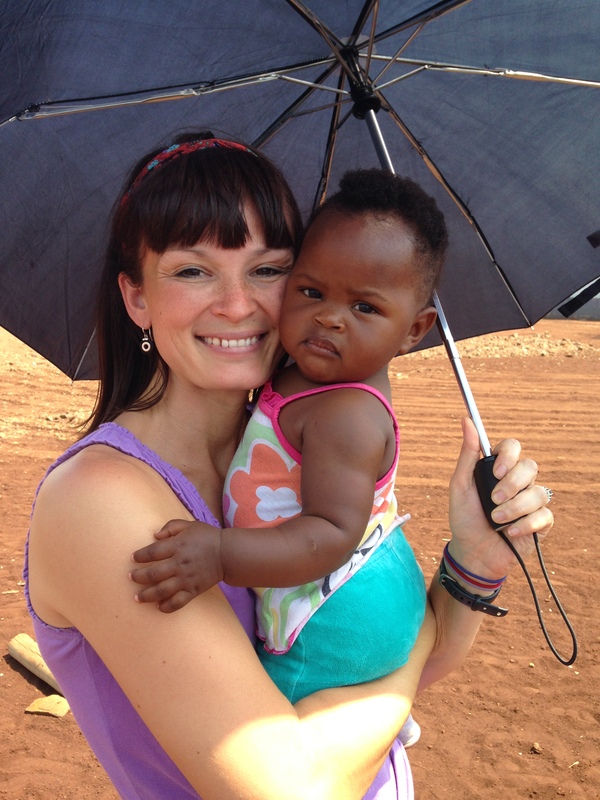 We have lived in Swaziland for one year now! It amazes me how fast a year can go by, or how much can change in just one year. 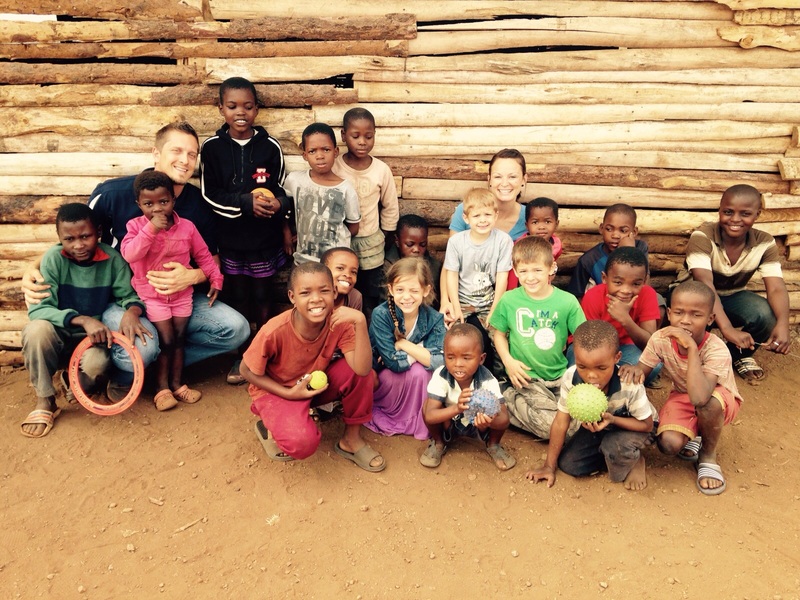 I am still in awe that God chose, and called us to live life and spread the Gospel in Swaziland. To be completely honest, this has been a hard blog to write. I just keep thinking… How can I truly put into words or sum up in a nice little blog the past year of our lives? How can I find the words with enough meaning to show that our family is forever changed? How can I truly express the heartbreaking realities of so many living in poverty in a third world country?….and on the flip side of that, if I could just somehow give you a little glimpse into the big faith that we see lived out everyday you would know that there are no words deep enough, or meaningful enough, to describe the way that they see our all powerful God. As Believers, we are all called to one mission…one purpose…and that is to bring honor and glory to God as we go and make disciples, as we spread the Gospel. Not all are called to move to third world countries to share the Gospel, but in our story, we are. Whenever you say Yes to God’s call on your life, you are now on the front lines of the battlefield to be attacked by Satan. When our family said Yes to God’s call for us to move to Swaziland, all bets were off…1 Peter 4:12-19…We have experienced Satan’s attacks mostly through spiritual warfare personally, and in the ministry, like never before. We have also dealt with everyday childhood things like poisonous bites and broken bones…which then resulted in surgeries… and chicken pox and the latest a big gash on the foot….to just name a few. Now to keep things in perspective, when things like this happen, there’s not an ER down the street that we can go to at any given time of day or night, which definitely adds to the challenge. Just as we are on the front lines to be attacked by Satan…we also now sit in front row seats watching God move, seeing His power and hand at work. Oh what an amazing sight that is! When you say Yes to God…to step out in faith into the unknown, when you step out of your comfort zone…those are the times you are refined and are drawn closer to God, and in return, you get to see and experience God in ways you never thought possible. We love living in Swaziland. There are really no words to describe it. We have such a peace and contentment that we can only have through God, I know. It is such a testament of His faithfulness to His Word, and to our family. Although we have had our fair share of trials, and sometimes tears of missing loved ones, I know that without trials our faith would never grow. I don’t know about you, but I want trust that is without borders, and big faith in a very big and all powerful God.